It’s been a week of welcome good news for Hearties. Amidst the Lori Loughlin college admissions scandal and subsequent trial, Hallmark has renewed When Calls the Heart for a seventh season. 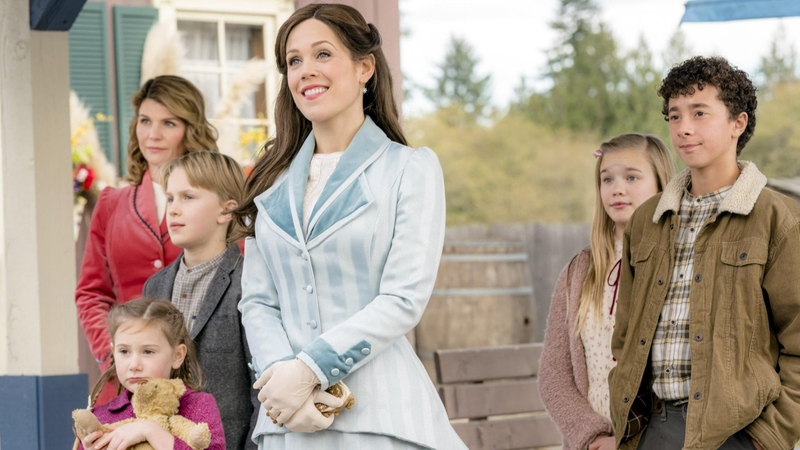 Series star Erin Krakow (aka Elizabeth Thornton) announced the renewal news in a video on the Hallmark Channel’s Instagram feed, revealing that the next season will drop sometime in 2020. A double-episode week and another season? This Heartie is officially in heaven. Of course, what will happen to Loughlin’s character remains a mystery. At this point, it’s possible that all her scenes for the remainder of season six have been cut. Since her role was so integral to the plot, however, Hallmark obviously had to come up with a plausible reason for her unexpected and prolonged (read: forever) absence. Our vote? The wealthy out-of-town aunt to Abigail’s two adopted children, Becky and Cody, convinces Abigail to move to her estate in Davenport. At least that way Abigail gets to live on in fans’ minds. After all, she — Abigail Stanton, the fictional mayor of Hope Valley — didn’t do anything wrong.